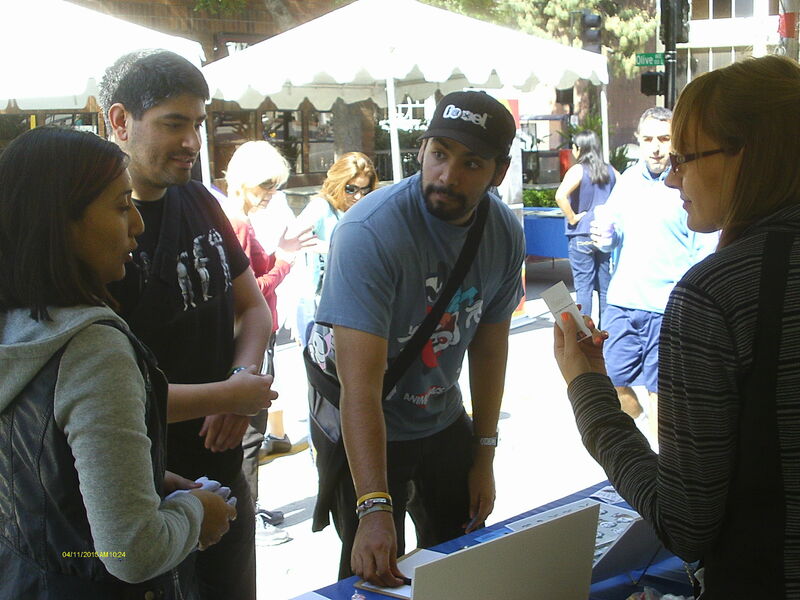 This was our second year having a booth at the CTN Animation Road Trip event in Downtown Burbank. It’s the animation portion of the Burbank Arts Festival on San Fernando Road, between Olive and Angelino. We’ve attached a couple of photos from the event, one shows a production still being used to explain a portion of the Gerald Hop scene and the other shows how we have learned to connect with visitors more directly than we did with our first booth, a year ago. There were also some new materials that were shown for the first time at our booth this time, like the first two trading cards and production stills. They helped make it an even more successful booth than last year, attracting more new talent, and reminding more seasoned animation folks, that we are still very much in production. The purpose of the booth this year, like last year, was to bring in more crew members, and we did just that, signing up over 60 potential new talents in every area of expertise, to allow us to form several units, to produce the 30 to 40 scenes that will make up the 90 minute documentary. You can see our present crew line up of “active” crew members on the Crew page, under Film Credits or Scene Credits, and if you’d like to join our crew, we have a page for that too, also under Crew, called Join our Crew … All Aboard!